Copyright (c) – Golden Torch Music Corp. Copyright (c) – Careers-BMG Music Publishing, Inc. Copyright (c) – Gold Horizon Music Corp. Published By – Philip Collins Ltd. Published By – Golden Torch Music Corp. Published By – Gold Horizon Music Corp. Designed At – Wherefore Art? Track duration track 1 incorrectly printed as 6:20. Mastering SID Code is unreadable (L902, L903, L908 or L909). Art direction and design at Wherefore ART? Track 2 Produced for ECAF Productions, Inc. Tracks 1, 6, 8 ℗ 1989 Atlantic Recording Corporation. Track 2 ℗ 1998 Philip Collins Limited under exclusive license to Atlantic Recording Corporation for the United States and WEA International Inc. for the world outside of the United States. Track 3 ℗ 1984 Sony Music Entertainment Inc.
Track 4 ℗ 1982 Atlantic Recording Corporation. Tracks 5, 14 ℗ 1988 Atlantic Recording Corporation. Track 7 ℗ 1984 Columbia Pictures. Tracks 9, 11, 12, 16 ℗ 1985 Atlantic Recording Corporation. Track 10 ℗ 1993 Atlantic Recording Corporation for the United States and WEA International Inc. for the world outside of the United States. Track 15 ℗ 1981 Atlantic Recording Corporation. Track 2 Published by © 1986 Sony Tunes (ASCAP). Track 3 Published by © 1984 Philip Collins Limited/Hit & Run Music (Publishing) Limited/Sir & Trini Music (ASCAP)/New East Music (ASCAP). All rights on behalf of Philip Collins Ltd/Hit & Run Music (Publishing) Limited administered by Warner Bros. Music Corp. (ASCAP). Track 4 Published by © 1965 Stone Agate Music (BMI). 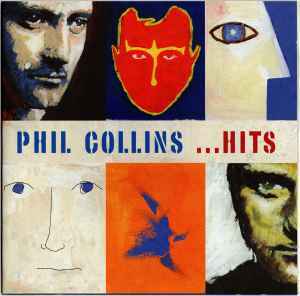 Track 5 Published by © 1988 Philip Collins Limited/Hit & Run Music (Publishing) Limited/EMI Blackwood Music (BMI). All rights on behalf of Philip Collins Ltd./Hit & Run Music (Publishing) Limited administered by Warner Tamerlane Publishing Corporation (BMI). Track 7 Published by © 1984 Philip Collins Limited/Hit & Run Music (Publishing) Limited/Golden Torch Music Corp. (ASCAP). Administered by Warner Bros. Music Corp. (ASCAP). Track 9 Published by © 1985 Careers-BMG Music Publishing Inc. (BMI)/Gold Horizon Music Corp/Hit & Run Music (Publishing) Limited. Track 10 All rights on behalf of Philip Collins Ltd./Hit & Run Music (Publishing) Limited administered by Warner Tamerlane Publishing Corporation (BMI). Track 14 Published by © 1965 Screen Gems/EMI Music Inc. (BMI).